Food Safety and Standards Authority of India (FSSAI) has recommended additional taxation on ultra-processed food and sugar-sweetened beverages. India’s top food regulatory authority also suggested a ban on advertising foods with high fat, salt and sugar content on children’s shows and channels. The recommendations were recorded in a report released on May 8 by an 11-member expert group set up by the body. The expert group was set up in 2015 after Delhi High Court ordered FSSAI to issue guidelines for making available wholesome, nutritious, safe, and hygienic food to school children in India. Other recommendations of FSSAI include nutrient specific guidelines, monitoring systems to assess fat, salt and sugar intake periodically, nutrition education and awareness, reformulating commercialised products, positive nutritional labelling, among others. However, the report lacks clarity on how these recommendations would be implemented as it does not assign roles and responsibilities to take it forward. “The report is out after two years of the expert group constitution by the FSSAI. It does not really take forward the issue of how we regulate ultra-processed junk foods in our country. There is not much in this report which is not mentioned in earlier reports addressing the issue. Moreover, it does not talk about accountability and timelines,” says Amit Khurana, senior programme manager, food safety and toxins team at non-profit Centre for Science and Environment. “While, the group was formed to address the issue holistically, it is unclear, how FSSAI plans to use this report individually or together with guidelines for school children”, he added. The expert group’s recommendations for nutrient specific guidelines are similar to suggestions given by National Institute of Nutrition and Indian Council of Medical Research. The group’s recommendation to ban advertising fat- and sugar-rich on kids’ shows is crucial for junk food marketing directed at children. However, the report does not mention roles and responsibilities of individual authorities and departments in its implementation. Role of the Ministry of Information and Broadcasting and Advertising Standards Council of India, as broadcasting and advertising regulators should have been highlighted. This report gives a general review of impacts of targeted advertising to children and global best practices. Recommendation that calls for imposition of additional tax on purchase of ultra-processed commodities and sugar sweetened beverages is positive step towards regulating junk foods in the country. However the recommendation does not specify to what per cent tax should be imposed. In 2016, aerated beverages have already been placed under the category of sin goods eligible for 40 per cents tax. 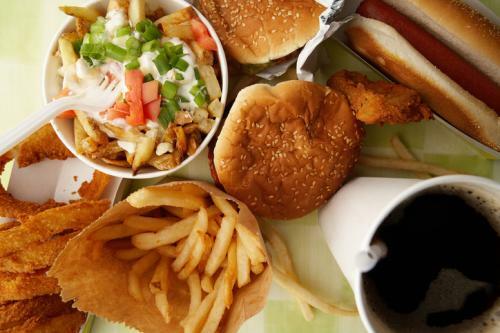 The FSSAI report recommends installing systems to monitor periodic intake of fat, salt and sugar to provide strong basis for establishing regulatory limits for foods in manufacturing. Such data would help in setting up the cut-off limits. Waiting for generation of this data to establish regulatory limits would simply delay the process. Further the report recommends voluntary reformulation of commercialised products. Had the mandate of the expert group for setting up the cut-off limits fulfilled, unhealthy foods could be regulated, keeping it voluntary leaves it to the industry. Lastly the report recommends positive nutrition labelling where it has summarized existing regulations and the draft on labelling and claims which FSSAI is still working on. As part of recommendations importance of strengthening the current labelling system and solving the ambiguity on serving sizes and nutritional information is highlighted. Although the report does not discuss the draft regulations on labelling, they are expected to include mandatory declaration of energy, sodium, total fat, total sugars, added sugars, carbohydrate, proteins, dietary fibre and saturated fat values. These should be declared as per the serving size along with the percentage intake of each nutrient. Setting reference values for nutrition and health claims such as low in fat, sugar free, diabetic friendly, should be a part of the draft regulations. Easy to understand front of pack and menu labelling should also be considered. Expert group has not commented on these lines in its report. While the experts were supposed to discuss displaying fat, sugar and salt in food products served in eating joints or catering facilities, the report has no mention of it. The report categorises Indian snacks like samosas, pakoras and vadas as ultra-processed, along with chips, burgers and pizzas. Calling Indian snacks ultra-processed is incorrect because ultra-processed foods are those derived through multiple processes such as baking, frying, extruding, moulding, hydrogenation and so on. They are high in energy, salt, sugar and fat content and also contain various combinations of preservatives; stabilizers, emulsifiers, solvents, binders, bulkers, sweeteners, flavour enhancers; processing aids; colours and flavours. Can FSSAI ensure safe food at places of worship without hurting religious sentiments?